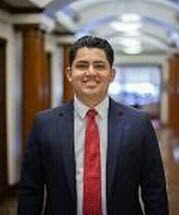 Kenny S. Ramirez is an associate at the nationally renowned law firm, Girardi | Keese. His areas of practice include personal injury, wrongful death, catastrophic injury, sexual assault of minors, premises liability, government entity liability, employment, products liability, and medical malpractice litigation, all on behalf of plaintiffs. Upon graduating high school, Kenny attended the University of California, Los Angeles. There, he received his Bachelor of Arts degree in Political Science and a minor in Philosophy. While at UCLA, Kenny was selected to be a member of the UCLA Law Fellows Program and was inducted into the National Political Science Honor Society. Kenny graduated from UCLA in only three years. Kenny received his Juris Doctorate, with a concentration in Civil Litigation Advocacy, from Loyola Law School in Los Angeles. While at Loyola Law School, Kenny was selected to be a member of the nationally ranked Byrne Trial Advocacy Team for two consecutive years. During that time, he and his three team members won the regional American Association for Justice (AAJ) National Student Trial Advocacy Competition and went on to be national semi-finalists. Kenny was awarded the CourtCall Leadership Award for his leadership and advocacy as a member of the Byrne Trial Advocacy Team. To this day, Kenny serves as a guest judge for the Byrne Trial Advocacy Team. While at Loyola Law School, Kenny also participated in the Bet Tzedek Employment Rights Project through which he provided free legal aid and representation in administrative hearings to low income clients, successfully obtaining minimum wages and overtime pay owed to his clients. Kenny began working at Girardi | Keese as an extern and clerk in his third year of law school. He has been at Girardi | Keese ever since. As an attorney at the firm, Kenny manages a large active caseload and has obtained numerous settlements in the five, six, and seven figures. Kenny has also been involved in the preparation of several trials and has first-chaired a trial to verdict as lead counsel. Kenny is passionately dedicated to representing the interests of individuals and/or businesses that have suffered a loss at the hands of another. No matter the case, Kenny's determination and resolve have helped him obtain justice for his clients. When Kenny is not fighting for his clients, he spends his time with his parents and three younger siblings. As a family, they enjoy going to the theater, trying new restaurants, and watching sports games together. Kenny is also the director of the youth ministry for his local church and a member of his church's worship team, for whom he plays the guitar and saxophone. Kenny also enjoys playing baseball and basketball. Kenny is fluent in Spanish (speaking, writing, reading).